We have received numerous emails asking us questions from what kind of camera we use, to what the best camera to buy would be. This is a very good question. When taking pictures at night one must have a good camera to capture spirit energy. The above camera is the one I use with a 512MG card. This camera cost $1,200 and has provided me with a lot of good pictures. 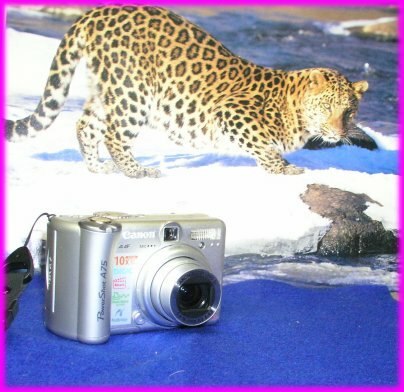 The camera shown above is the OLYMPUS C 5050 5.0 mega pixels and has a flash range of 30 feet. It is important to note that this camera has what is called the AF Illumator that has a red beam that cuts through the night. If anything passes through the beam it will distort and this is when you take your shot. When energy passes the beam it will distort and you can be pretty sure that you got something of a paranormal nature. I set the ISO on 400, and set the brightness range to plus two for taking pictures at night. By setting the brightness range you increase the flash range to it's max of 30 feet. With the 512mg card I can take up to 411 pictures. This is the Cannon Power Shot A75. There is also the Cannon Power Shot A80 that has a metal case and this camera works just as well as the A75. The A75 3.2 mega pixels, as shown above, is the camera that Cathy uses and has proved to be a great camera for paranormal research. This camera also has a 512mg card that can take 855 pictures. The A75 as well as the A80 4.0 mega pixels have the AF Illuminator feature . Set the ISO setting to 400, and the brightness to plus two. This will give you a flash range of 25 feet, and you're set to go. The A75 costs about $375.00 and it takes amazing pictures. This camera we recommend to anyone. The cost is affordable and is the best deal in town. The A80 Cannon Power Shot costs about $485.00. The only difference from the A75 is that the A80 has a metal case and also features a flip out LCD screen. Picture quality is the same as the A75. 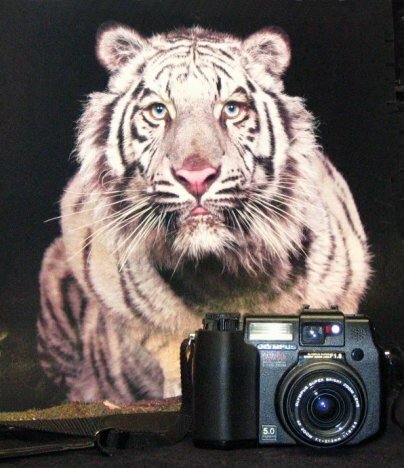 The only camera's on the market that have the AF Illuminator are the OLYMPUS C5050 and the Cannon Power Shot cameras.